When the Sky Force Anniversary remake launched on PS4 and Xbox One in 2016 I immediately fell in love. Now, a year later, the remake of the sequel, Sky Force Reloaded, has launched and I’m happy to say it is bigger, better, and more polished than its predecessor. More levels, more upgrades, new ships, and a pumped-up overall difficulty make Sky Force Reloaded even more enjoyable than Sky Force Anniversary. See our full Sky Force Reloaded review, on PS4 this time, for all of the details. Usually when the term “mobile port” comes up it’s a bad thing but the Sky Force games are the exception. Sky Force was originally released back in 2004 on ancient pre-smartphone mobile devices, ported a few times, and then remade and re-released as Sky Force Anniversary more recently. 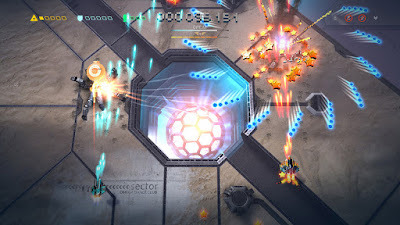 Sky Force Reloaded, the sequel, was originally released in 2006 and received a remake for mobile in 2016 and now on PC and consoles in 2017. I had never played any of the Sky Force games before; so being able to play them on consoles has been a treat. Ok, history lesson over. Just like in the first game, you start Sky Force Reloaded with a fully powered up ship before dying and losing all of your goodies, Metroidvania-style. You then start the game for real with a woefully weak ship with a peashooter for a gun and no upgrades and have to collect stars in order to buy upgrades in order to make progress. Admittedly, the first few hours of the game are kind of an extreme grind as it takes a long, long, long time to get powered up, but I’m okay with it. The upgrades to your health, main gun, wing cannons, missiles, and more are all really tangible and you can feel yourself getting more powerful with every upgrade. It takes a while to really get rolling, but the end result is worth it. Sky Force Reloaded isn’t really notably different or better than Sky Force Anniversary when it comes to gameplay, which is a bit of a letdown. It is still very good, don’t get me wrong, but I was sort of hoping for it to be at least a little different. It has the same gameplay feel, the same wonderfully precise controls, the same great level design, and the same upgrade paths. If the game cost any more this would be a bigger problem, but for just $10 simply getting more of the same isn’t a big deal. 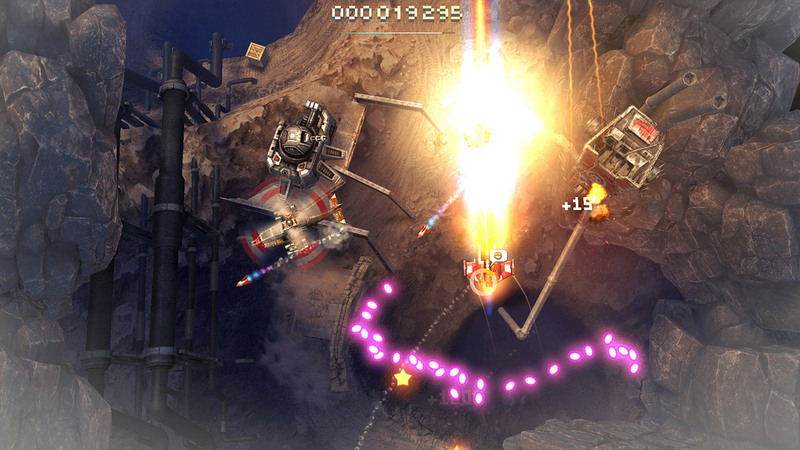 Sky Force Reloaded does set itself apart in a couple of key ways, though. The first, and most notable, is that there is a lot more content in this game. There are 13 main levels and two bonus levels, compared to 9 levels in SFA. Upgrade cards return once again as well but now there are temporary upgrades that only last 15-minutes that do things like start you out with a random extra weapon or give you extra stars along with the permanent upgrades that make you significantly stronger. The cards are random, though, so finding and collecting them in levels is, again, a bit of a grind. There are also multiple ships to choose from in Sky Force Reloaded, but, you guessed it, have to find random parts in levels and each ship has multiple parts. Each of the unlockable ships has different stats and abilities, though, so they do add some nice variety to the game once you unlock them. The other main way Sky Force Reloaded changes things up is by being a fairly decent step up in difficulty level from Sky Force Anniversary. Both games feature levels that get progressively harder, even on normal mode, which necessitates constantly buying new upgrades to get stronger. Likewise, both games also have harder difficulty levels – with better rewards, naturally – when you complete all of the missions on each level. Where Sky Force Reloaded is different, however, is that the levels overall start off much more challenging and only get more difficult as you dig deeper into the game. I really like this, to be honest. Even if the gameplay is mostly the same, the uptick in difficulty makes Sky Force Reloaded play and feel a little different which keeps things interesting. The presentation isn’t a huge step up from Sky Force Anniversary, either, but it was already super polished and nice looking so I can’t complain too much. Most importantly it runs at a very smooth framerate and the bullets and enemy patterns are very easy to see, which is vital in a good shmup. All in all, Sky Force Reloaded follows the “bigger, better, more badass” formula for sequels to a “T” and the result is a solid game all around that is better overall even if it isn’t significantly different from its predecessor. Just by having more “stuff” Sky Force Reloaded is a better experience. If you enjoyed Sky Force Anniversary, you’ll love Sky Force Reloaded. 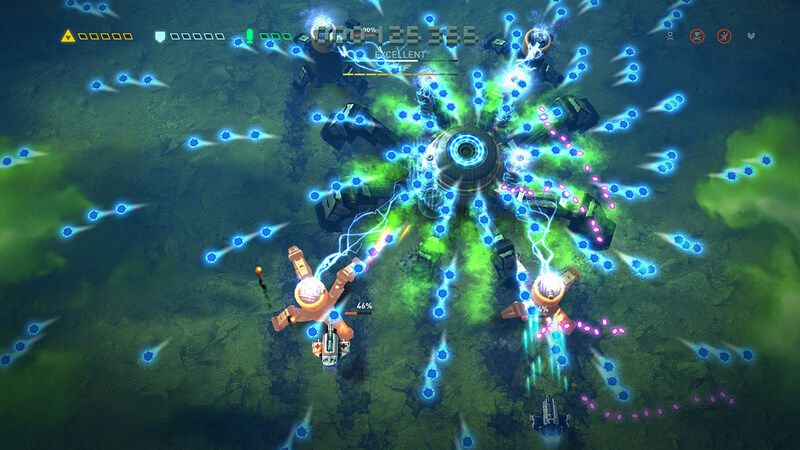 And if you didn’t play SFA, well Sky Force Reloaded is an even better place to start. Just keep in mind it’s a little slow going at first, so don’t judge it too harshly for the grind at the beginning. It only gets better and more addictive as you buy upgrades, so keep at it. In any case, if you claim to be any sort of a shmup fan, Sky Force Reloaded is highly recommended for a purchase.